Pongal is the harvest festival celebrated in Tamilnadu on the first day of the Tamil month “Thai”. Rest of India celebrates this harvest festival as “Makar Sankaranthi” or “Lohri”. Starting from this year, Pongal/Thai thirunaal officially marks the beginning of the Tamil New Year! Sakkarai Pongal – Sarkarai Pongal is prepared with the fresh milk and the harvested rice in the mud pot and offered (as neivedhaiyam) to the lord Surya(Sun God). 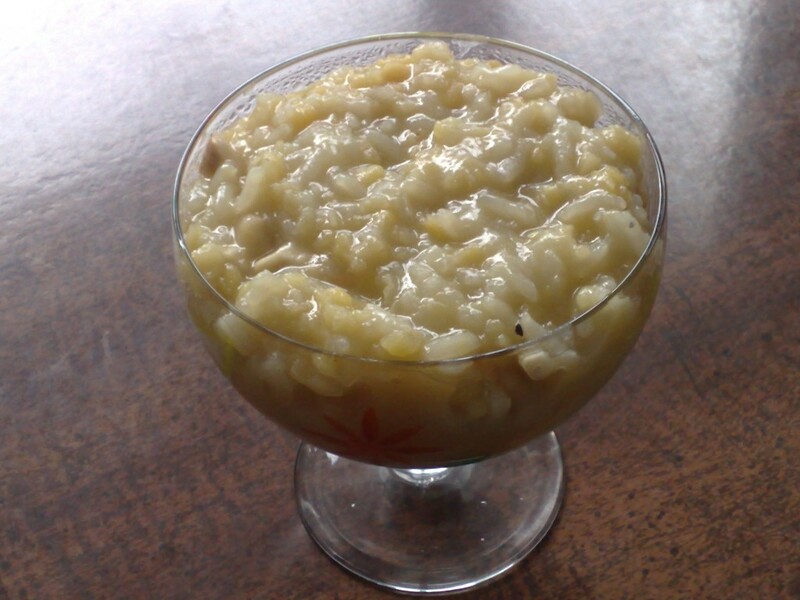 Here is the Sakkarai Pongal recipe that I prepared in the pressure cooker. This being my first Pongal away from home, I made my maiden attempt to try out the Sakkarai Pongal recipe. Add little water to jaggery and heat it in low flame. the cooked rice and the syrup mix very well. Heat ghee and fry the cashews in it. Add the cashews to the Pongal. Looks very delicious, tempting me to eat. Glad that u liked the Sakkarai Pongal recipe. Thanks a lot dearie. maya mandhram mathiri kovil sakkarai pongal sappittom. americavil panniyathu engal nakkil suvai kidaithadhu. Sakkarai pongal is my favorite. Tempting me to taste the Sakkarai Pongal. Thanks a lot for posting this. I might be the first. Sakkarai pongal is not a favorite of mine. I think I liked it once in my life – at a temple. Sorry. But looks good though! Quite neat presentation …looking mouthwatering indeed..
Nice to see you around .. Happy Valentines Day to you !! You know something, I started my blog last year after pongal. And my first recipe was chakkarai pongal too. Love your way of writing. it was fun reading your travel adventures!